Hobbes & Co., Ltd. would like to announce that we will be exhibiting at the 2012 GITEX in Dubai from October 14th to 18th. 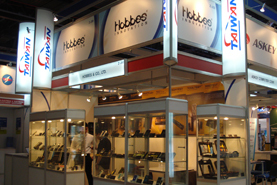 It is the first year that Hobbes & Co., Ltd. to attend Middle East exhibition. In this year’s GITEX, we will announce the new products FIBERID, Optical Talk Set, fiber cleaning tool, SMARTFinder and INNOTEST. Welcome to visit us at booth Z-J50 in ZA'ABEEL HALL GULFCOMMS and we are looking forward to see you.